When your low-code mobile app development tools start to look like everyone else's low-code mobile app development tools, you have to differentiate yourself with new products, services or functionality. That's exactly what's happening in the burgeoning (low-code/no-code/RAD/DIY/model-driven/wizard-based/citizen-developer/drag-and-drop -- call it what you will) movement. Illustrating this trend are three new announcements from low-code tooling vendors who are leading the charge to expand the scope of their offerings and stay relevant amid a flood of competitors: WaveMaker Inc., Appy Pie LLC and Zuznow. Just today, WaveMaker announced it's adding professional services to bolster its WaveMaker RAD Platform. "Pro and non-pro developers alike can combine visual, no-coding RAD (rapid application development) with enhanced WaveMaker Professional Services to bring mobile apps to life in a matter of days," says a news release today. The professional services fall under development, jumpstarting and training categories. WaveMaker said they can help enterprises enhance their competitiveness, accelerate revenue growth and relieve overworked dev teams and IT departments. 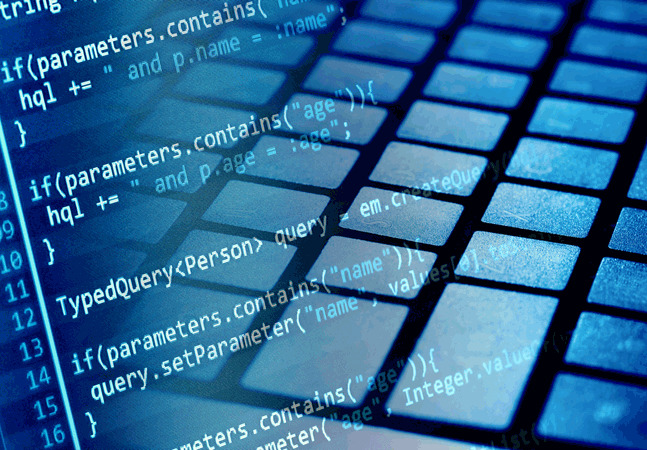 "WaveMaker addresses the mounting challenge of enterprises to reduce the complexity of application development -- and, in particular, applications that must be developed for a variety of platforms or OSes in parallel," the company said. "As an example, WaveMaker professional services address the increasing demand for mobile access to apps, and on platforms including Android, iOS and Windows. Modernizing the front ends of existing apps to add mobile capabilities using Web technologies is more efficient and cost-effective than building native apps for each mobile platform." Key factors in the timely delivery of new mobile apps include the demand for best-practices Agile development, the expected use of micro-services architecture and new tools to quicken service integrations by automatic API creation, the company said. The development services provide the design, development and hosting of custom apps for enterprises. Jumpstart services provide WaveMaker experts to help organizations at any stage of the app delivery lifecycle, with one-week consulting gigs. Training services provide customizable options to help enterprise customers master WaveMaker RAD. 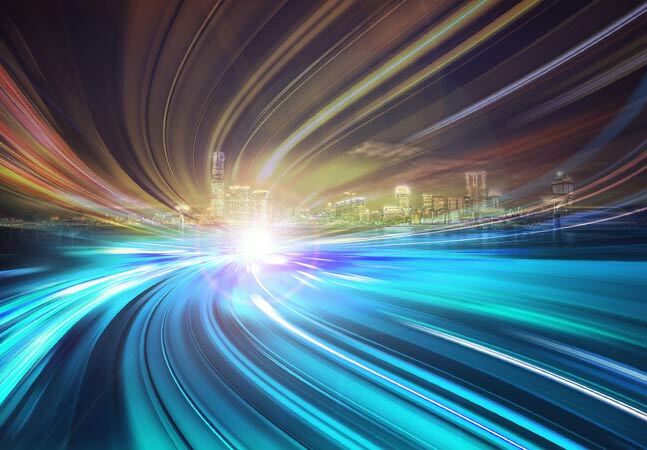 "The new services are designed to help enterprises propel development projects ahead, leveraging the inherent advantages of rapid app development," WaveMaker said. "At the core of RAD is rapid prototyping, which allows developers to create 'real looking' apps in a matter of days, and without slowing the full development lifecycle. In traditional services delivery, prototyping is intrusive and diverts development efforts from actual software development. With RAD, prototypes reveal the core functionality of an app rapidly, without necessitating a long approval and budgeting process." WaveMaker asked interested parties to request a quote for the services on its pricing page. Appy Pie is also adding services to its core cloud-based DIY platform "that allows anyone with no technical knowledge to create advanced applications for mobiles and smartphones. There is nothing to download or install, no programming required -- just drag and drop." In this case, however, the services are for custom app development. "Appy Pie now offers custom mobile app development for enterprise clients for whom the Appy Pie DIY platform does not suffice," the company announced recently. "Appy Pie's custom design team takes over from here. With the correct assessment of requirements, their best-in-class custom application development team provides all possible support to rollout the app across various device types." With the company's base service, enterprises just create mobile apps online by dragging and dropping "pages" onto the app design interface. Appy Pie publishes the customer-developed app and provides it as an HTML5-based hybrid app capable of running on Android, iPhone, iPad, Windows Phone and BlackBerry platforms. "Appy Pie provides custom, line-of-business applications that help drive the mobile strategy of their clients," the company said in announcing its custom development services. 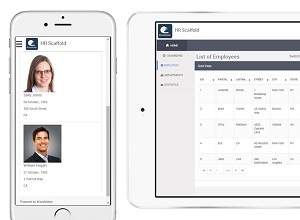 "They serve as a one point of contact for all mobile application needs, thereby eliminating the cost of in-house tools or expertise." For customers who need more help, Appy Pie will take over the development chores. "With applications that are tailored as per requirements, it becomes easier for clients to target specific business areas," the company said in a statement. "Adapting existing applications to new requirements also becomes simpler with the help of these services. Appy Pie offers world-class end-to-end development environment and best practices for building customized mobile applications." The Custom Mobile Application Development page lists Qualcomm BREW, Java ME and Symbian as development targets in addition to the aforementioned core platform targets. "Appy Pie Inc. gets in sync with the unstoppable growing pace of mobile application market and helps organizations deploy the best mobile functionalities to attract more minds," the page says. "Weaving our cutting-edge development skills with innovative ideas, we aim to deliver an outcome that brings your organization to the forefront of productive marketing and better investment returns." As does WaveMaker, Appy Pie invites interested parties to request a proposal from the site. "The custom mobile app development market and enterprise app development is set for massive growth and Appy Pie's custom development team is ready to offer their expertise, innovation and creativity to fuel the growth of your company," concluded Abhinav Girdhar, CEO and founder of the company. 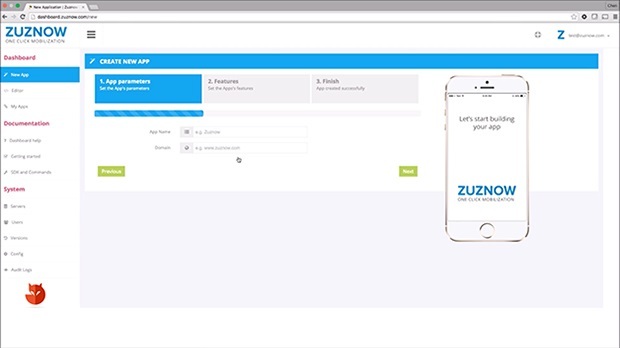 Zuznow took a different tack with its automatic rapid mobile application development (RMAD) Red Fox platform, which it describes as "a complete Front-end-as-a-Service (FAAS) that enables large businesses and enterprises to implement a sustainable, successful mobile strategy." 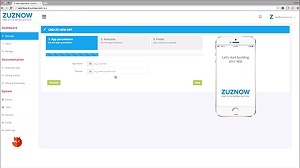 Along with other functionality, the Zuznow platform lets enterprises leverage their complex Web apps and turn them into iOS or Android mobile apps via a Web-based customization dashboard. However, low "ease of use" ratings of the native app feature -- compared to "customization of the responsive mobile-Web version," prompted a UI/UX do-over and the release of Red Fox Version 3. 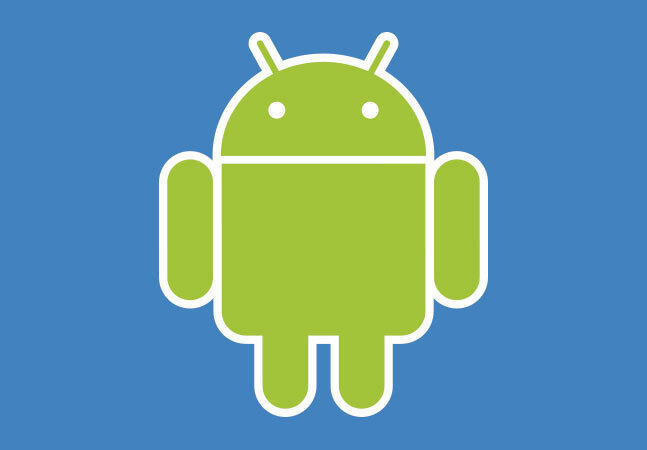 "With a simple three-step configuration wizard -- customers can now automatically generate an APK file to upload to the Google Play, or an IPA file to upload to the App Store," the company said in a recent blog post. The company further emphasized new no-code functionality in its platform while announcing the new upgrade last week. "The new version provides industry-first functionality to assist enterprises in handling browser compatibility issues on desktops and smartphones," the company said. 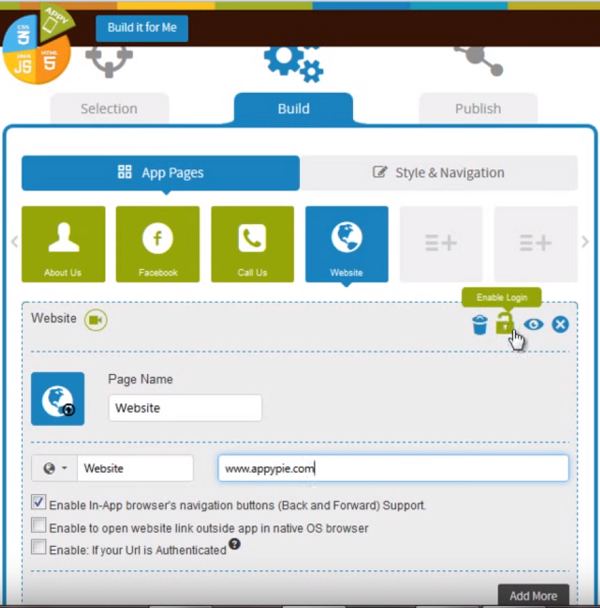 "Additionally, Zuznow further enhanced its native app development and deployment dashboard by offering a wizard-like interface that requires no coding skills to create a mobile-Web and/or native app in minutes." Zuznow also said Red Fox Version 3 helps protect enterprises from "browser obsolescence" for Web-based apps, whether they run on Web browsers or native mobile app browsers. "With the recent announcements from Microsoft ending support for Internet Explorer, organizations are faced with the challenge of retooling or completely redeveloping interfaces for enterprise applications that are dependent on this browser," the company said. "We developed, what we call Desktop to Desktop conversion in response to the pain our clients' were experiencing in trying to keep up with the changes in the browser market," said Chen Levkovich, CEO and founder of Zuznow. "Zuznow is the first to address this need by extending its automatic omni-channel development platform to provide a new and future-proof user experience for enterprise applications on new browsers, as well as new applications on legacy browsers." "The Zuznow platform truly exceeded our expectations," the company quoted customer Robert Plante at IDB NY as saying. "The fact that we could leverage one of our top customer information Web sites, securely transition it to all mobile channels, and have an attractive, premium result, all with minimal effort, was outstanding."